Runtime 11 Hrs. 40 Min. WOW! 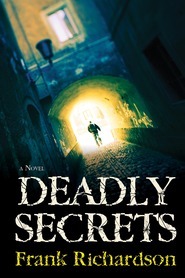 This is an amazing story set in WWII Italy. During battle Bastien and his team discover an enemy officer who looks so much like him, it was uncanny. He decides to become this officer and infiltrate Hitler's Rome station. He is perturbed and resentful of Gracie - a radio operator - who his superiors force him to take along as his pretend wife. 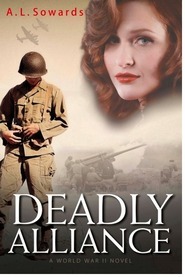 Her inexperience and his expertise in combat collide. Somehow they must get along convincingly. As the battles rage and the added pressure of co-existence with two so incompatible, the author quickly captivates the reader's interest, and emotions to the point one feels as though he/she is there. One senses the horrors, fears and desperation of war, through the remarkable literary skills of the author, yet it is kept "clean". The characters felt real as did the accompanying scenes. The Title Fits and the Book Cover is fitting and well done. 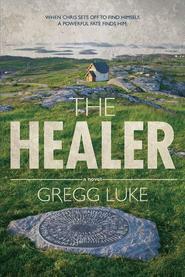 This novel is packed with adventure, suspense, intrigue, romance, and action. It is a fast moving, all-encompassing tale! *I was gifted this book but it in no way obligates me to post a positive review. This book is awesome!! I haven't seen many WWII books set in Italy so that caught my interest right away. Once I started reading, I was hooked from the first page. Gracie is likable from the beginning. She wants to prove that her college degree was worth pursuing and show her mother that being smart is better than being beautiful. She recently finished training to be a radio operator and is one of the best. As she goes undercover, she does prove to be a great radio operator but struggles with being a spy. She makes mistakes and some of them have real and devastating consequences. Bastien Ley, an American spy who is currently working undercover as Adalard Dietrich, has made some mistakes in his reports so he's being assigned to work with Gracie. He's not happy about it but finally agrees to it. Their cover story is to act like a couple. They start off tolerating each other but their feelings start to grow and their relationship becomes confusing for them. There are also obstacles in their way and it doesn't seem like a relationship between them will work. Gracie is a good Mormon girl. There are references to her faith throughout the novel but nothing preachy. Bastien started out a little rough but quickly grew on me. Gracie has some self-esteem issues because of comments her family said to her while growing up. Bastien definitely finds her beautiful and wants to help her believe it. I enjoyed their relationship and watching it grow into something with great potential. I felt like I was holding my breath through most of the book and couldn't turn the pages fast enough. Some parts were hard to read as the realities of war were described. This is the first book I've read by A.L. Sowards and I will definitely read more of her books in the future! Content: Clean romance (kissing); no language; moderate violence (war violence, not graphic); mild religion (talk of religion, but it doesn't play a major role). A.L. 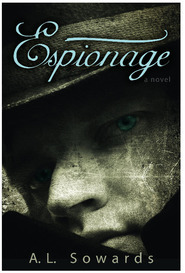 Sowards does an incredible job at writing suspenseful, action packed, spy thrillers set during WWII. I am amazed at how well she writes a novel that feels like you are reading history. Such a great historical romance! I loved this book! I love the way that A L Sowards can take a time in history, during World War II and make it come alive. I loved the way that the author shows things from both Bastien's and Gracie's point of views, I loved the way that it made the story seem more 3-D. I loved the characters. Gracie is a good Mormon girl who wanted to make a difference in the war, so she did the OSS training and ended up in Rome. Bastien is originally from Germany, but his family moved to the USA and he is fighting to end the war that the Nazis started. I liked how Bastien didn't want to work with Gracie and he tried to do everything he could think of to get her to change her mind about going on the assignment. But as he got to know her, his respect for her just continued to grow as he saw her deal with hard things, and in the end he would do pretty much anything for her. This book is a book about World War II, but it's also got a sweet love story, and you'll feel as though you were transported to Rome during the 1940's. I didn't want this book to end! 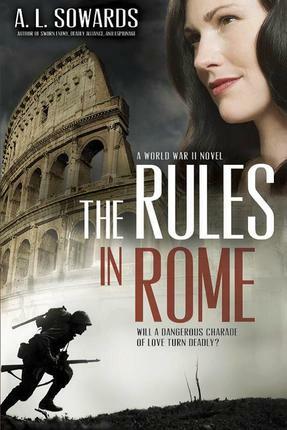 In The Rules of Rome, Soward takes the reader on a thrilling ride through the Nazi occupation of Italy. The story starts with a bang as Bastien Ley, an OSS agent working in Italy stumbles across a German officer who bares an uncanny resemblance to himself. Going undercover is a risky proposition but if it helps end the war before his brother joins up, he's willing to risk it. However, when his boss sends him an inexperienced young agent to help, he is extremely reluctant to accept her presence. Things get even more complicated when despite their initial dislike they start to care for each other. Soward does a great job of creating an intriguing plot in a place that doesn't receive as much attention from WWII novelists. The story begins quickly and continues on that way until the end. The challenges of facing a deadly enemy as well as their own emotions makes Bastien and Gracie characters that I was more than happy to read about, the story also helped create a greater appreciation for those who put their lives on the line to help end that horrible war. There is no swearing or sexual situations. There is some violence. This book was amazing. I absolutely loved it! Every page was a mystery and lead to more suspenseful situations. Bastien and Gracie are fabulous characters. I loved how we were able to see them from the other's point of view. I also enjoyed how the story was told from other characters too. WWII is a fascinating subject to take on, and Amanda does an incredible job with this story. Gracie and Bastien both are thrown into an almost impossible situations. So many thrilling events take place, I was turning pages eagerly to find out what was going to happen, but honestly, I was almost afraid to know what was going to happen next! 5 out of 5 stars. I know I can count on Amanda for an exciting book that is well-written and a clean read.